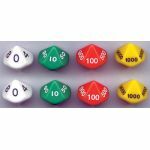 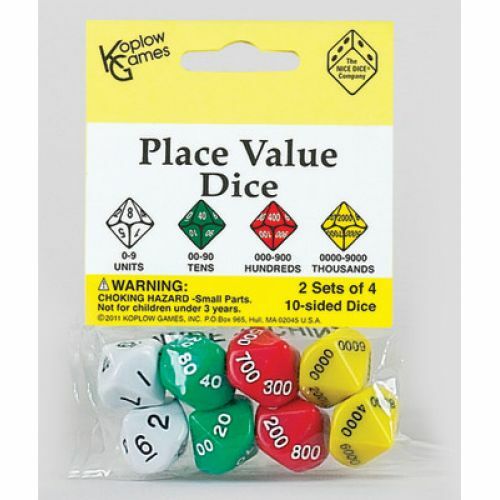 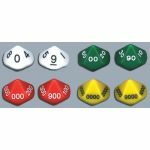 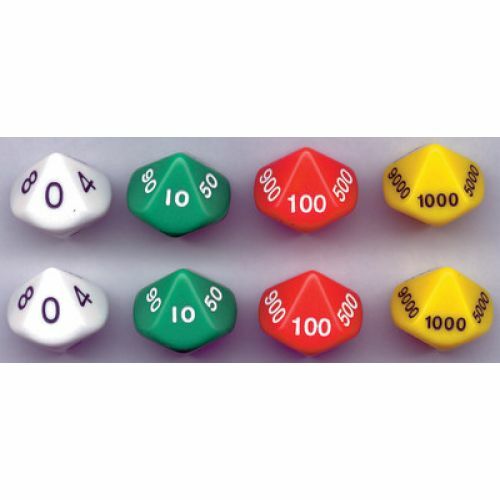 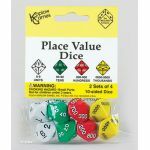 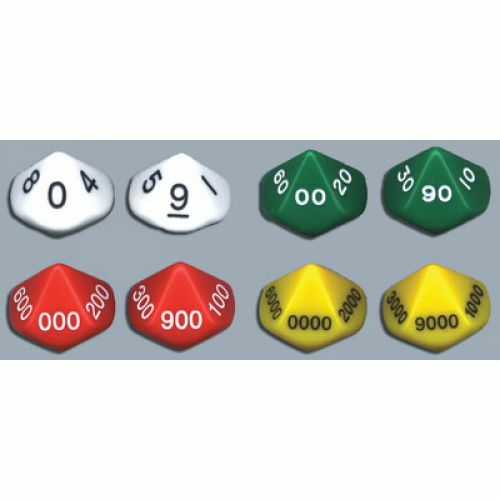 These ten-sided dice are a great tool for practicing place value! 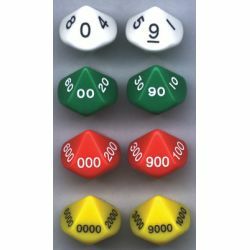 Units to Thousands. 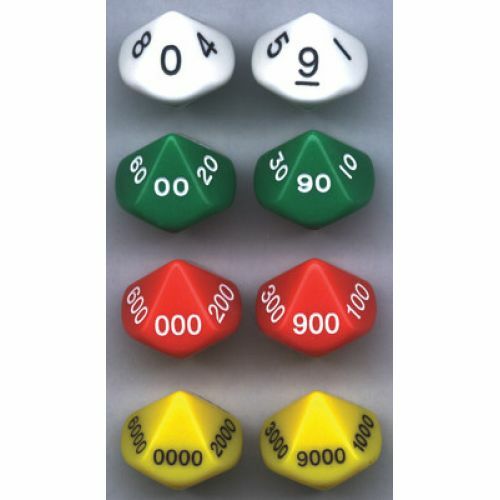 Set of 8 includes 2 each of 1's, 10's, 100's and 1,000's.